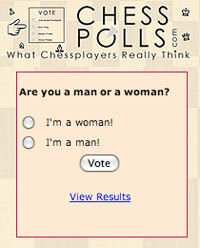 The 2012 London Chess Classic is being held from December 1 - 10. 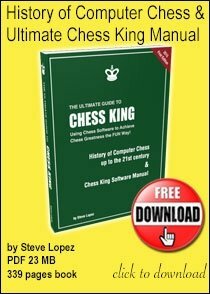 All games were decisive in Round 5 at the London Chess Classic 2012. 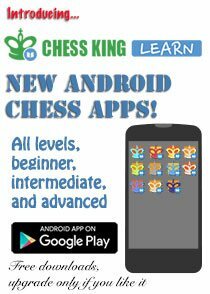 Vladimir Kramnik played a brilliant game to beat Luke McShane. 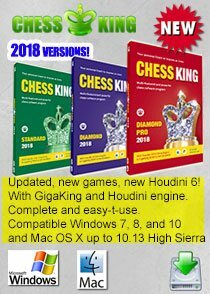 World chess champion Viswanathan Anand scored his first win of the tournament as Gawain Jones decided to self-destruct in a slightly advantageous position with White. 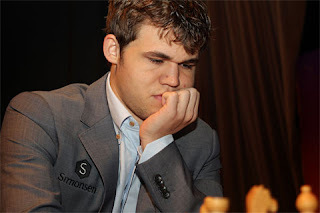 Magnus Carlsen beat Michael Adams to take his live rating to 2860.5. 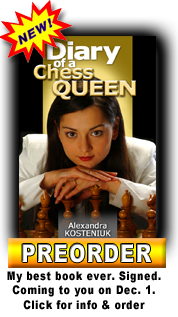 Nakamura held on to beat Judit Polgar in a marathon endgame. 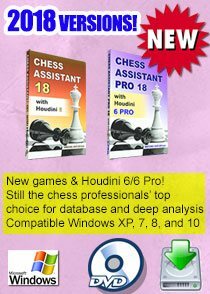 Click on the games to replay the Round 5 games with Chess King. 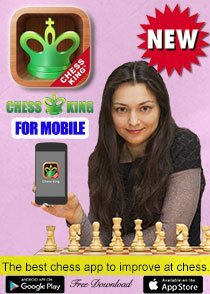 Photogenic Women Chess Players: Name Them!